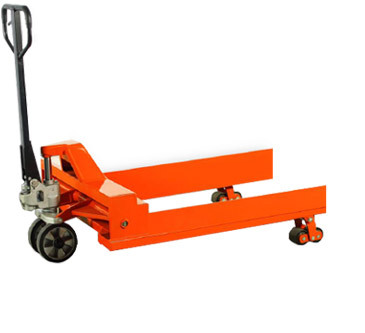 ECO "MINI" Low Profile Pallet Truck - MOBILE INDUSTRIES INC. :: Material Handling Tranport, Lift and Warehouse Equipment. 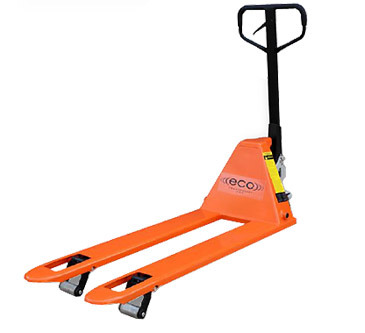 The ECO ‘MINI’ Pallet Truck features a high quality pump for long life and easy field servicing. 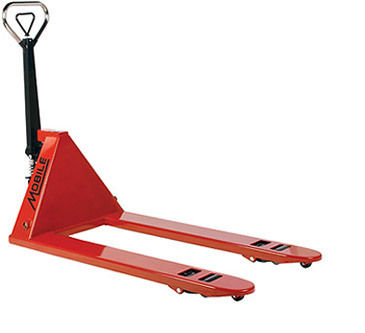 Durable, versatile and easy to use, its ergonomic design reduces operator fatique and downtime. 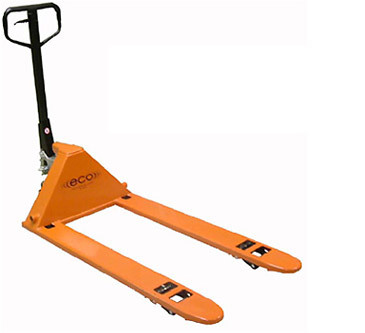 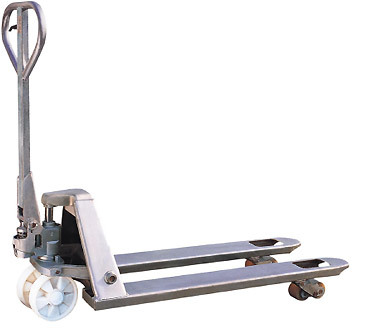 With a 2″ lowered height and 20.5″ or 27″ wide forks, the ECO ‘MINI’ is designed to handle pallets where height restrictions are an issue; offers 200 degree handle pivot for exceptional manoeuverability in compact areas; comes with standard polyurethane wheels and steel rollers for rolling ease; features a powder coat finish; robotic welds throughout; and grease fittings at all pivot points for easy maintenance.